Where can I download 3D movies? Comparing to DVD, Blu-ray has much more loyal followers due to its larger capacity and higher quality. Because a Blu-ray disc can save much more data than a DVD disc, people nowadays don’t buy Blu-ray discs only to watch movies on it, but also to burn their own video clips or homemade movies on it. Burning movies to a Blu-ray disc at home is not a hard thing to do, as long as you have the right equipment. Today, I will show you the detailed steps on how to burn movie to Blu-ray disc on Mac. Part 2: How to Burn Blu-ray Movies on Mac? To burn Blu-ray movies on Mac, you need to do some preparations first. Let’s see what is required to burn a video clip to a playable Blu-ray optical disc on a Mac computer. Of course, to burn a Blu-ray movie on Mac, the first thing you defiantly need is a blank Blu-ray disc. Blu-ray disc was designed to supersede the DVD format, and is capable of storing several hours of video in high-definition (HDTV 720p and 1080p) and ultra high-definition resolution (2160p). The main application of Blu-ray is as a medium for video material such as feature films and for the physical distribution of video games for the PlayStation 3, PlayStation 4, and Xbox One. The name “Blu-ray” refers to the blue laser (actually a violet laser) used to read the disc, which allows information to be stored at a greater density than is possible with the longer-wavelength red laser used for DVDs. A Blu-ray disc can save much more data than a DVD disc and provide better movie quality, so make sure you prepare a Blu-ray disc not a regular DVD disc. As we all know, Mac computers usually don’t come with built-in Blu-ray drive. So in order to burn movies to a Blu-ray disc, the next thing you need to do is to get an external Blu-ray drive for your Mac to read and write your Blu-ray disc. 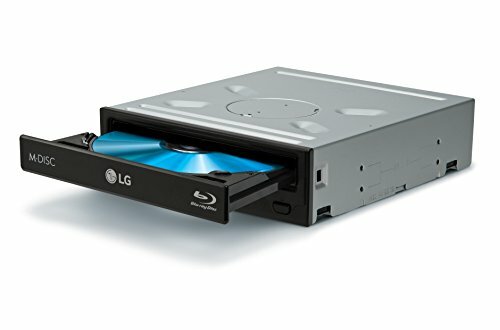 You also need to pay attention here because you have to make sure you get a real Blu-ray drive not a DVD drive, because a DVD drive will not be able to read or write a Blu-ray disc. Speaking of burning Blu-ray movie, a good Blu-ray burning program is a very important element. A good Blu-ray burning program can make your Blu-ray movie burning process effective and at the same time, improve your watching experience. There are a lot of Blu-ray burning program on the market, and some of them are really good. 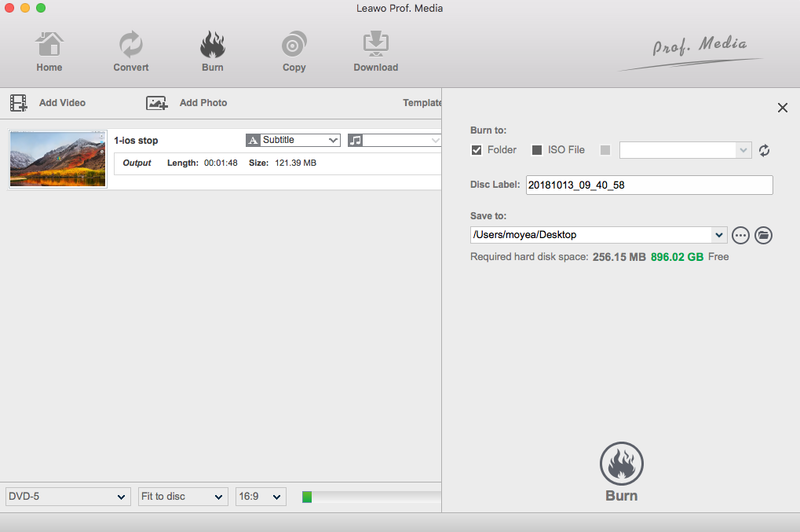 Today I want to introduce one of the best Blu-ray burning program on Mac to you, and that is Leawo Blu-ray Creator for Mac. 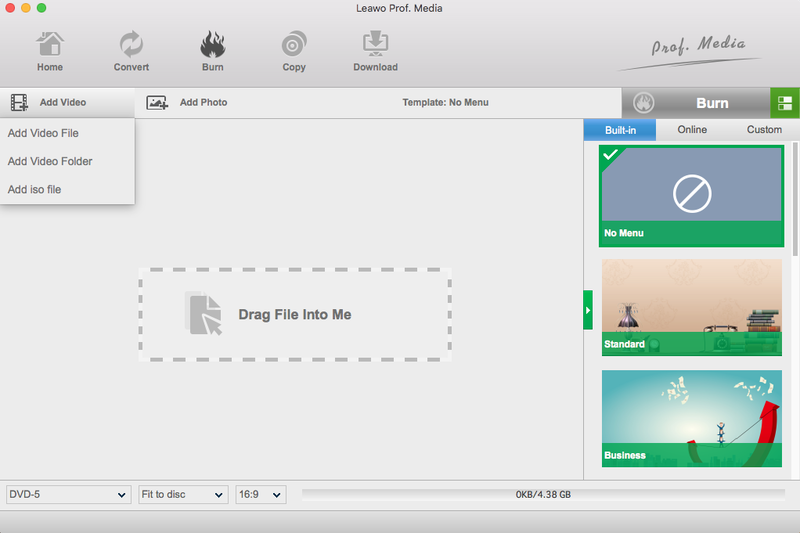 Next I’ll show you how to burn a Blu-ray movie with Leawo Blu-ray Creator for Mac. ☉ Burn videos to Blu-ray/DVD disc, folder, ISO image file. 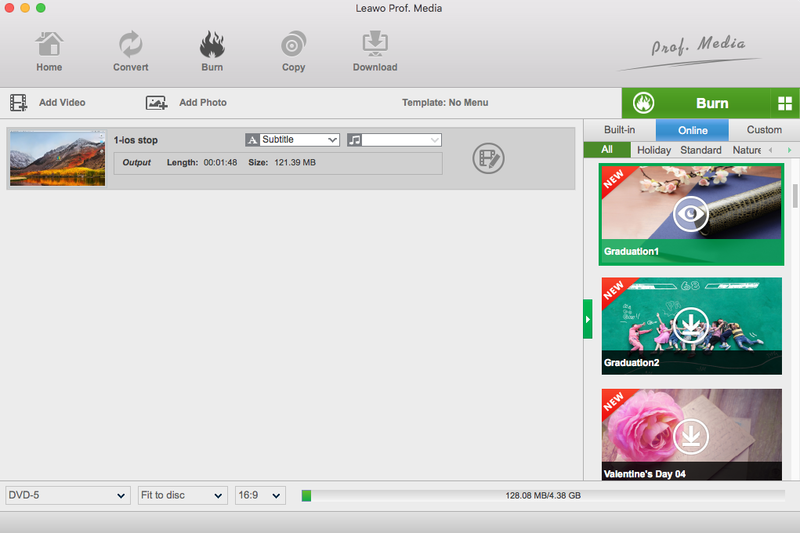 ☉ Create photo slideshows and burn to DVD/Blu-ray disc. ☉ One clickto burn ISO image to Blu-ray/DVD disc. ☉Add watermark, trim video size, adjust effect, etc. ☉ Create 3D Blu-ray/DVD movies with 6 different 3D effects. ☉ Design and add disc menu to Blu-ray/DVD disc. 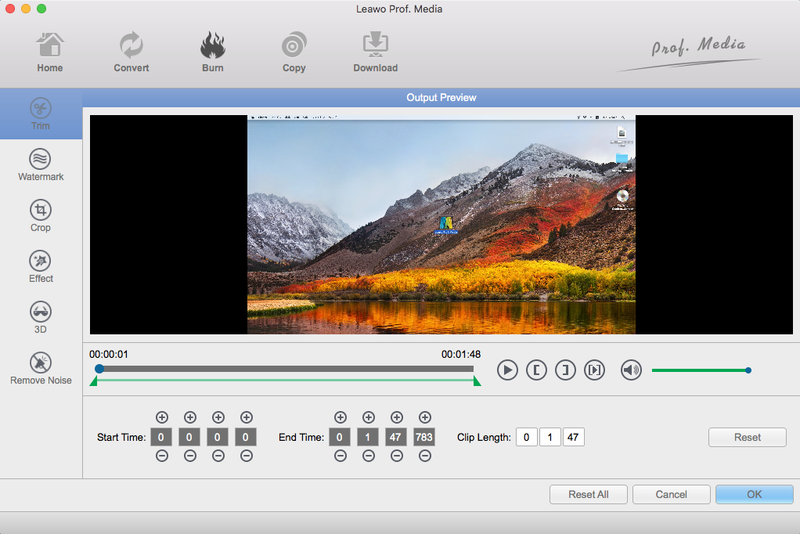 Launch Leawo Blu-ray Creator for Mac, and click “Add Video” button to browse and add source videos into this Blu-ray burning software. You could also directly import source videos via drag-and-drop. After loading, you could play back loaded video files via the internal media player, edit loaded videos via the internal video editor, etc. By selecting a video clip and clicking “Edit” icon in the loaded video title, you can access to the “Video Edit” window, where you can edit your videos by trimming, cropping, applying special effects, adding watermarks, and adding 3D movie effect. You could get customized Blu-ray movie by editing. Add a disc menu to output Blu-ray content from the right sidebar and get instant preview by clicking the center eye-shaped icon. On the disc menu preview panel, click the pencil-shaped icon to enter the disc menu editing panel, where you can add text, background music and background image to customize the menu. If you don’t need to add disc menu, click “No Menu” option on the program’s right panel. Click the big green “Burn” button to enter the “Burning Setting” panel for further video to Blu-ray burning settings: choose to convert video to Blu-ray disc, Blu-ray folder or/and ISO Image; give output Blu-ray content a disc label; set saving folder for output file. Roxio Toast 16 Pro provides an easy way to burn your favorite movies to blank Blu-ray discs. It provides around 100+ themed templates to create the disc menus. It also provides simple drag, and burn approach that’s why calling it simple won’t be wrong. Along with the burning feature you get the audio and video editing tools which makes your movie even more polished for a high definition entertainment. It also provides an option to burn Blu-ray discs readable only on a Mac system. Express Burn is another Blu-ray burning software for Mac that employs the same drag, drop, and burn approach. Express Burn supports all video formats with a DirectShow based codec. With this software you can create and manage chapters on BD discs. It also supports dual-layer BD disc recording. However it is not as advanced as Leawo Blu-ray Creator but works satisfactorily if you want a simple software for the Blu-ray burning purpose.